• Schlumberger (NYSE: SLB) has announced a decision to invest $700 million in offshore Nigeria, projects that could ultimately lead to the production of 50,000 barrels of oil equivalent per day and 120 million cubic feet per day. • Statoil (NYSE: STO) and Eni (NYSE: E) said that they made an oil discovery at their joint Kayak prospect in the Barents Sea. The 25 to 50 million barrel of oil equivalent discovery could boost production at Statoil’s Johan Castberg development. • GE (NYSE: GE) completed the purchase of Baker Hughes (NYSE: BHI), which establishes the world’s second-largest oilfield services company after Schlumberger. Rig count falls. The rig count fell for the first time since January. 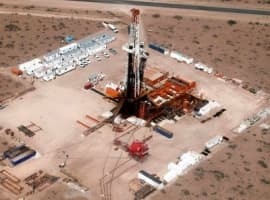 Oil rigs were down by 2 for the week ending on June 23, and while it is only one week’s worth of data, the decline raises the prospect of the U.S. shale boom running out of steam as oil prices dropped into the low-$40s. Suncor promises not to explore for oil. The WSJ wrote about Suncor Energy’s (NYSE: SU) unusual strategy to curry favor with investors. 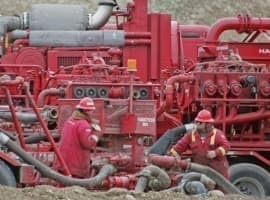 Suncor, Canada’s largest oil producer, promised not to reinvest in new upstream projects for the “foreseeable future.” Suncor has spent large sums in Alberta oil sands, but it now promises to fork over cash to shareholders rather than spend it on growth, a strategy that has been greeted warmly by investors. The move comes after several oil majors exited Canada’s oil sands earlier this year. The oil sands are expensive and dirty, and take years and billions of dollars to develop. Needless to say, they face an uncertain future. So, Suncor’s strategy, for now, is to not spend any more money on greenfield projects. Tesla to start production of Model 3. Tesla’s (NYSE: TSLA) Elon Musk said that production of the Model 3 will begin on Friday. Production will start slowly, but will ramp up to 20,000 vehicles per month by December. The Model 3 is a fully-electric vehicle with a price tag of $35,000 before the $7,500 federal tax credit. Musk has bet the company’s future on the success of the Model 3, and interest so far looks strong with 400,000 people signing up for purchases. Libya’s oil production tops 1 million barrels per day. Libya’s oil production has reportedly exceeded 1 mb/d, the highest in four years. The rapid increase over such a short period of time has exacerbated the global supply glut. Last year, output dropped to about one-third of that level. But even at the beginning of 2017, production was below 700,000 bpd and seesawed back and forth on outages and the restoration of oilfield production. Total announces $1 billion investment in Iran. Total SA (NYSE: TOT) signed a deal on Monday to invest $1 billion in an Iranian gas field. Total will operate the project, but will partner with China National Petroleum Corp. (CNPC). The South Pars field is on the largest natural gas fields in the world, and the gas production will feed Iran’s domestic market beginning in 2021. OPEC production rises to year-to-date high in June. OPEC’s production rose by 260,000 bpd in June, compared to May, hitting the highest collective output so far in 2017, according to Bloomberg estimates. 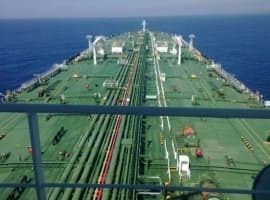 Nigeria and Libya made up half of the gains, while Saudi Arabia boosted output by 90,000 bpd and smaller contributions came from Angola and the UAE. Saudi GDP shrank in first quarter. Saudi Arabia’s GDP fell in the first quarter by 0.5 percent, compared the same period in 2016. It was the first year-on-year contraction since the global financial crisis nearly a decade ago. The figures are surprising because oil prices were higher than they were in 1Q2016. But Saudi oil production was down due to the OPEC cuts. Also, austerity measures are a drag on the economy. IEA: Heavy trucks to drive oil demand. The IEA released a new report on the role that freight and heavy duty trucks play in future oil demand growth. The agency says that without fuel efficiency regulations and policies to promote alternatives, road freight alone will add 5 million barrels of oil demand growth over the next few decades. Oil majors oppose U.S. sanctions on Russia. ExxonMobil (NYSE: XOM), Chevron (NYSE: CVX) and other oil majors are pressing the U.S. government not to move forward with additional sanctions on Russia over fears that it will freeze them out of potential projects in that country. The U.S. Congress is considering a bill that would tighten sanctions on Russia in response to meddling in the 2016 presidential election.